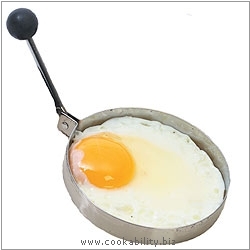 A professional 10cm stainless steel egg ring that is 1.5cm deep. Folding soft grip heat resistant handle. Do professionals need to be reminded that this product could become hot during use?